Developed initially as a Scion for North America, before Toyota killed the brand, the new C-HR targets single and newly married millennials. It has a bold look that gives it a sportier flair than many other crossovers, and comes loaded with plenty of equipment, even on the entry-level model, the XLE. The latter includes the Toyota Safety Sense P driver assist and safety suite, a 7-inch touchscreen, dual-zone climate control, soft touch materials and a leather-wrapped steering wheel. However, there’s much more than meets the eye with the C-HR, as Consumer Reports found in their review, with the subcompact crossover being surprisingly quiet, despite the fact that its engine can get quite loud at over 4,000 rpms. Moreover, it can easily sit two adults in the back, and it’s comfortable on bumpy roads. Achieving this meant sacrificing its cornering abilities, and even if it can still take a tight turn quite fast, it lacks the sharpness of a Mazda CX-3. 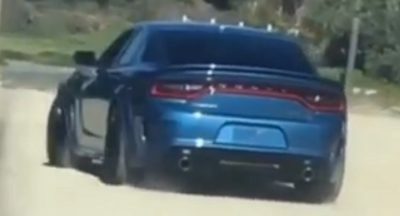 There are big blind spots to the rear, due to the chunky C-pillars, and the fact that it cannot be had with an all-wheel drive system just yet, is another drawback. The 2017 Toyota C-HR can be had in the mid-$24,000, meaning that it’s about $2,000 more expensive over its competitors, though it is the only one in its class to offer standard forward collision warning and automatic emergency braking, which landed it 5 stars from Euro NCAP. 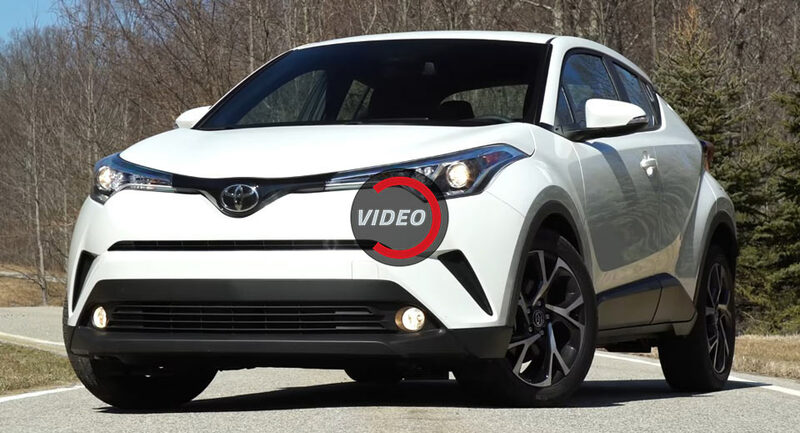 When it comes to the C-HR family, the future looks promising, as Toyota plans to introduce not only an all-wheel drive version, but also a hybrid. This car needs more power. Ford makes similar power from the 1L in the EcoSport FWD. The AWD EcoSport uses a 2L from the larger Focus, which makes more power. The difference will be in their reliability. Wait until 5 years, and see which lasts. This car needs less height. People want a kick up the arse! This car needs an other name and face. Show this to someone with the Toyota logos, I’m sure if he knows nothing about cars, for him it will be a Honda. Looks like it, sounds like it(the name). And with $30k price tag. @2:23 Whoever made that law on requiring “airbag off passenger” indicator on dash..I hate you. I bet most people don’t even know why it’s even there. Be aware that objects placed on the front seat can cause the indicator to come on. If no weight is detected on the front seat, the airbag will be automatically shut off. However, the indicator will not come on. I have the Dynamic trim, Hybrid 1.8. This is a very stable car. It corners on rails. I don’t know what they are talking about but the Hybrid is heavier and the dynamic has larger wheels. It is quite a powerful little car with a 1.8 ltr petrol engine + electric motor. I don’t feel it is under powered for the type of car it is. Is it a fun car to drive? Hmmm it is actually…quite hatch like with its feel on the road even with the height. It does over rev a bit (Hybrid engine) as is well documented but that is easily solved as you learn over time not to be so aggressive on the accelerator (you don’t need to with a 1.8 and electric motor). However the Hybrid engine is saving me a fortune as a little motorway way run then about a city/town all day long suits this engine. Plenty time to charge up then under 40 in town (save a steep vertical incline) it will run happily on electric mode about town. I have heard people saying it does not do this but from experience they are being far to sore on the accelerator triggering the engine to start. There is a knack to driving a hybrid you pick up. Think of what you will use it for before choosing an engine though. The hybrid suits a certain life style more than others. They say the back is claustrophobic and it is like you are in a little cocoon in the back but I would flip that and say it offers a sense of protection (with privacy glass) that the world outside is locked away. Kids don’t care once they are hooked into an iPad. They don’t look outside much on journeys they know and they seem to love the cocoon feel. People reviewing it without kids won’t know this. The cabin feels very high end. Add in leather seats option and it feels very, very, high end for a Toyota. The best cross over cabin I have seen actually in this price segment. Oh the huge screen is a joy. This thing is massive and mounted high up. You will love that! Space age feel is what they have went for and it works without feeling gimmicky. It is a true cross in every sense you get parts of a hatch and parts of 4×4 all mixed in. I think Toyota should be very proud of this car. If they can keep it priced competitively they should sell a lot of them in the 25-40 demographic. This is a car to watch. Can’t wait to see how the platform evolves. Next PostNext Could Jaguar’s F-Type GT4 Racer Look Like This?